Welcome to Dr Safdar Khalifa, United Nations Rtd, Africa Regional Directory in collaboration with the Pan Africa Administrative Justice for Peace and Conflict Resolution in Nigeria. 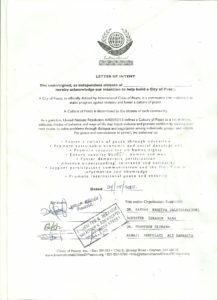 Mobilize the community to addres the Hunger Crisis, Political Delusions, and Gender & Envoronmental issues in Nigeria. 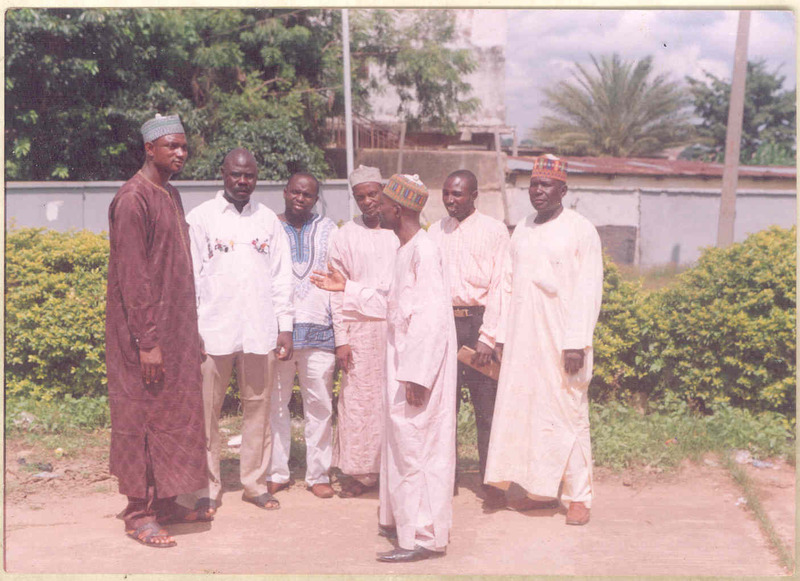 Members in Nigeria trying their best to clam the community from rioters in the Kaduna State. They are concentrating on community farm land issues. The group is aspiring to help change the minds of community commuters on land and property rights and settlement. These issues go toward justice for enjoying rights and creating for peace. This effort is focused currently on involving the community as Justices and Equity to the population of Christains within the Moslems Environments that are in Kaduna State and other Northern States of Nigeria. According to Dr. Khalifa, “Nigeria, being the most populated Country in the black African World, has been experiencing image problems abroad in past years but now it has recovered sharply for its glory as the present government is trying its best. Yet Youth Vandalisim is an on-going jeopardy for economic prosperity. “It is therefore also to intensify brotherliness efforts as one people with the same destiny and to help build up a proper democratic state and to gain a good image to international communities. “Our works are to encourage strongly the nation’s electoral process, work hand-in-hand with the international observers such as the UN, EC, and other recognized agencies in reviving proper Democracy, which will help open minds for responsible feasibilities in creatinga prosperous economy. 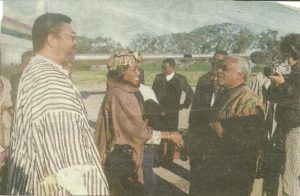 A member coordination in Ghana, where the former Ghanaian Leader J.J Rowlings stating some issues to Mr Demond Tutu in in Nothern Ghana Tamale. Dr. Khalifa holds a Ph.D. in Resource Economics and an MBA from the University of Maiduguri Nigeria and Florida State University respectivelly. He has 22 years field experience with many credible international Organizations and Foundations abroad. Dr. Khalifa has been a staff member of the United Nations, Food & Agriculture Organization, in charged for the Regional Community facilitation in Surinam. Countries included Bolivia, Equador & Brazil for number of years then he was posted back to Africa Accra, Ghana from 1987- 1995. He later joined the American Charted of Accountacy as a Board Member in Assesments of Financial Project Reports & Evalutions. 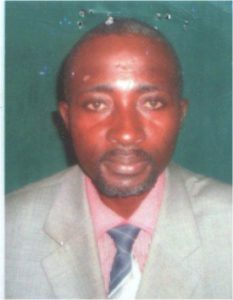 While in the United States, he joined the World Vision International for their Rural Paced Community Development as an Advisory Principal & Coordination for the Tropics. Dr. Khalifa has been in the field for Global Peace Building Initiating with the Elders as a freelance. He was also in charge of working for Foundations such as Rockefeller, Eco Green Bank Negera in Malaysia and other finacial hubs in their Rural Feasibilities Recovery. The name Nigeria was taken from the Niger River running through the country. This name was coined by Flora Shaw, the future wife of Baron Lugard, a British colonial administrator, in the late 19th century. The British colonised Nigeria in the late nineteenth and early twentieth century, setting up administrative structures and law while recognizing traditional chiefs. Nigeria became independent again in 1960. Several years later, it had civil war as Biafra tried to establish independence. Military governments in times of crisis have alternated with democratically elected governments. Kano is the capital of Kano State in Northern Nigeria. Its metropolitan population is the second largest in Nigeria after Lagos. The Kano Urban area covers 137 km2 and comprises six Local Government Area (LGAs) – Kano Municipal, Fagge, Dala, Gwale, Tarauni and Nassarawa – with a population of 2,163,225 at the 2006 Nigerian census. The Metropolitan Area covers 499 km2 and comprises eight LGAs – the six mentioned above plus Ungogo and Kumbotso – with a population of 2,828,861 at the 2006 Nigerian census. The principal inhabitants of Kano are the Hausa people. 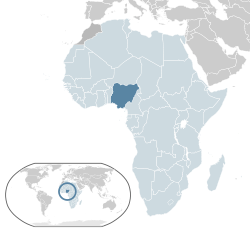 As in most parts of Northern Nigeria, the Hausa Language is widely spoken in Kano. The city is the capital of the Kano Emirate, and the current Emir, Ado Bayero, has been on the throne since 1963. The city is home to the Mallam Aminu Kano International Airport, the main airport serving northern Nigeria and was named after Nigerian politician Aminu Kano. Kano has long been the economic centre of northern Nigeria, and a centre for the production and export of peanuts. Kano houses the Bayero University and a railway station with trains to Lagos routed through Kaduna, while Mallam Aminu Kano International Airport lies nearby. Because Kano is north of the rail junction at Kaduna, it has equal access to the seaports at Lagos and Port Harcourt.